I am so utterly excited to welcome White Cabana’s newest contributor – welcome Corie! As some of you may know, Corie is my older (sorry, I had to get that in there) sister and we lead quite different lives. While I’m working away on my PhD and loving life as a singleton in small-town London, Ontario, Corie is married to Jeff, is a stay-at-home mom to three boys (under the age of 4! ), and lives in Manhattan. As you can imagine, Corie will bring a much different perspective to White Cabana and I’m thrilled that she has joined our team! Corie will bring a new series to White Cabana called Pop Up! As you can probably imagine, life with three youngens is full of non-stop action. The Pop Up! series will allow Corie to drop in to the blog from time-to-time to share her experiences as a mom, a Manhattanite, and a traveller with our readers. She is just as crazy about white design as the rest of us so this couldn’t be a better fit. So please join me in welcoming Corie to White Cabana (clap, clap). Celebration: White Cabana Gets a Makeover! 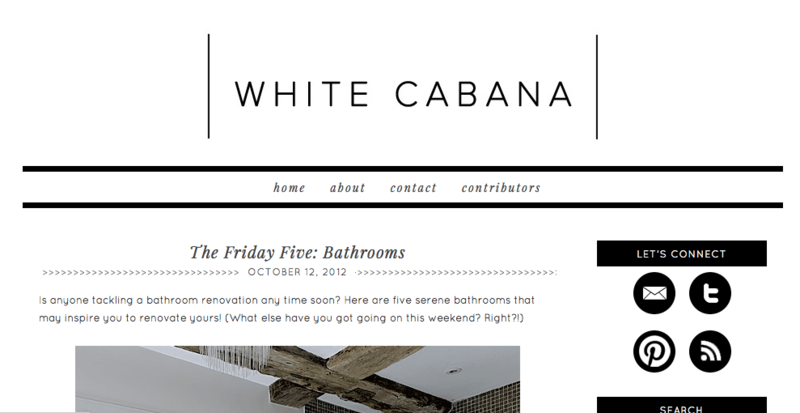 I am so happy to reveal White Cabana’s new look! It’s a bit more sleek and a bit more white (yes!). There are a few more things to work out over the next little but for now please note that the new web address is whitecabana.com. Shannon from AKA Design – Thanks for convincing me that a blog redesign was something that I could actually handle. It worked! Thanks also for taking the time out of your very busy life to answer my questions! Patricia from Mira Belleza – Thanks for designing such a beautiful site…and for answering my ongoing list of questions. The Namespro team – Thanks for making the blog transfer process so easy. Your technical support team was so incredibly supportive and clearly answered my never-ending questions! White Cabana’s fabulous contributors – Johanne, Mackenzie & Troy – thanks for being an awesome and very intelligent team! My family – Thanks for giving me the thumbs up on all the blog design previews I sent you! 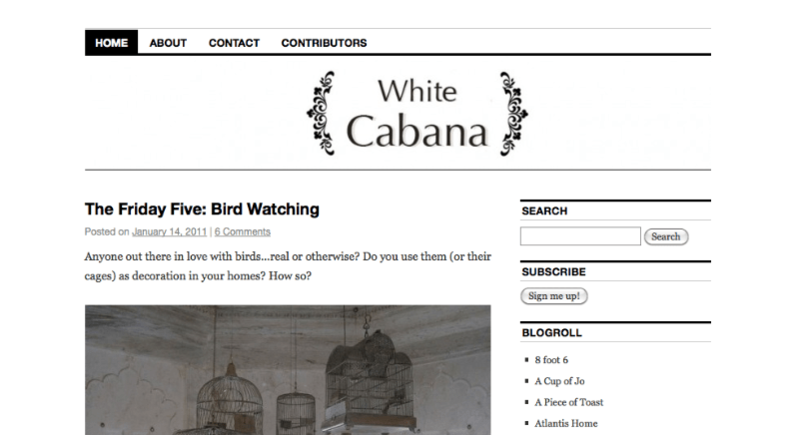 White Cabana’s readers – Thanks to you for stopping by the blog on a daily basis! I am so happy to share my love of white with all of you! 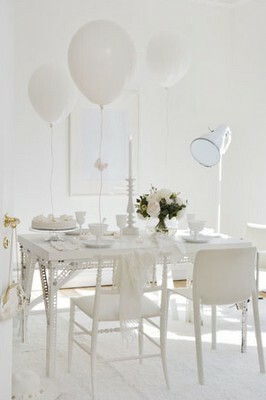 In honour of White Cabana’s upcoming first anniversary, today is all about celebration balloons. Wishing you all a most happy weekend. p.s. A very happy birthday to Simon (today), Daniela (tomorrow) and Maclean (the day after). Please join me in welcoming Mackenzie as the newest contributor to White Cabana. I have known Mackenzie for a pile of years now and I’m thrilled that she has joined the White Cabana team. You can read more about Mackenzie here. You can see Mackenzie’s first post here.